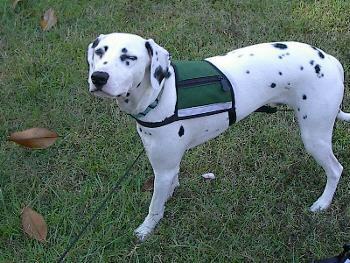 Service dog equipment is one of our specialties. 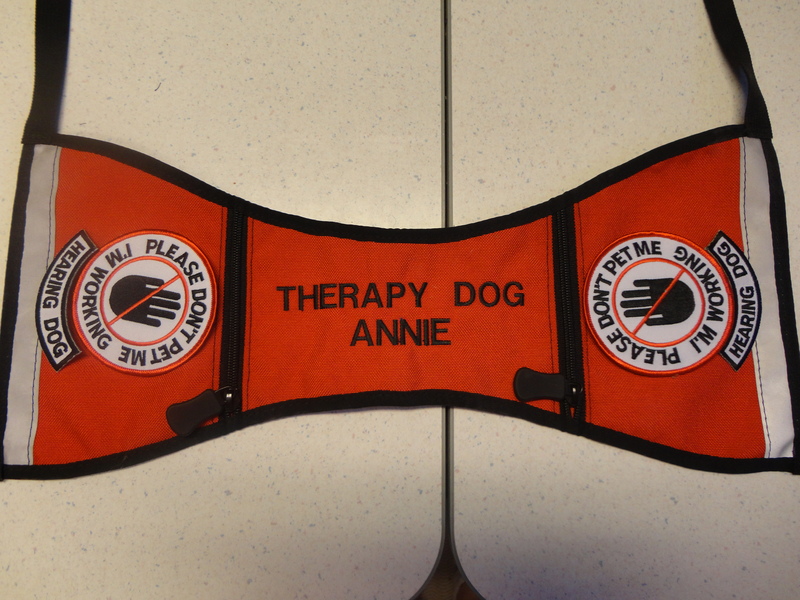 We carry ID capes that can be embroidered to suit your needs. Patches or emblems can be added to any cape. Remember personalization is available. 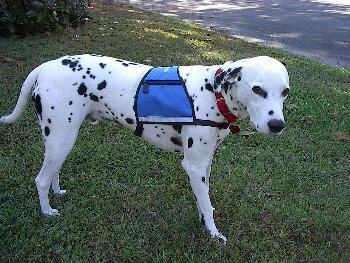 Being from the dog world, we noticed a huge demand for assistance/service/therapy dog equipment. We started carrying WOLF PACKS® brand gear several years ago and we have been selling them through out the country. 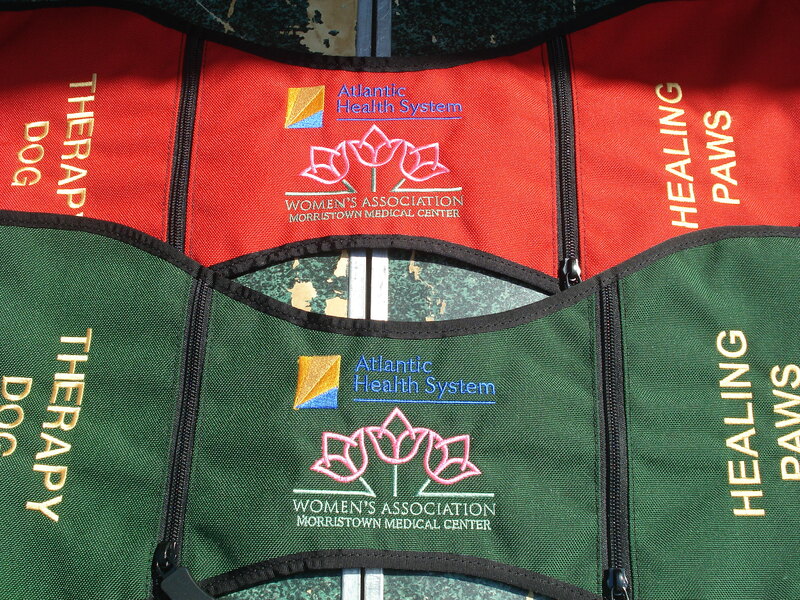 To our knowledge, we are the only company the embroiders directly on them, along with sewing on the patches. By the time you order it and when it get to your front door, you will have a finished product that you can wear immediately. Scroll down and look at the information below. If you have any questions, please don’t hesitate to contact us. The ID Cape™ is designed to be comfortable when worn all day long. This item is made from two layers of durable Cordura® Plus nylon. It slips over the head and attaches on the side with a plastic side-release buckle. All of the ID Capes come with two zipper closed pockets and reflective trim for night time safety. 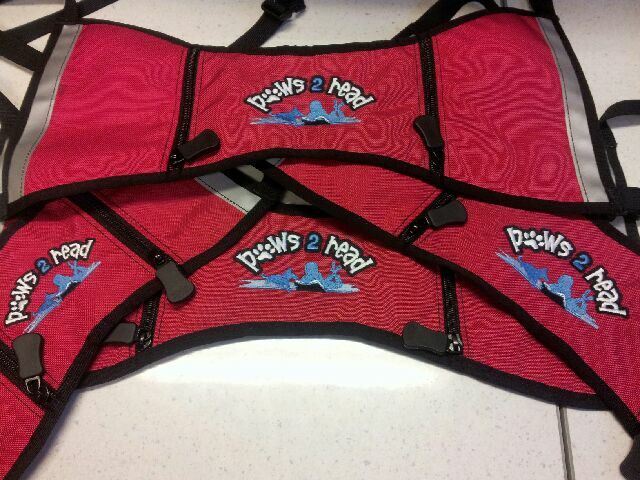 Webbing, zipper, fasteners, and trim are Black. ** Dog’s weight is an approximate figure. ** Medium is the most commonly ordered size.